GOOD NEWS FOR THOSE THAT OWN 2 WHEEL DRIVE VEHICLES. We now offer the Cleator Road Shuttle at check-in and check-out for a nominal fee of $40. Our driver will meet you at the top of Cleator Road along Eagle Cliff to assist you with your luggage and grocerys for check-in. Included is your check-out drive up the road as well. No worries about walking up and down the road with your baggage.......let our driver assist you. 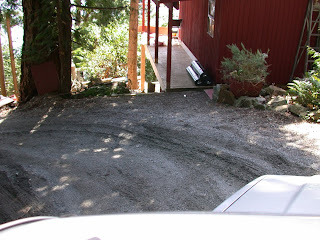 The Lazy Bowen Hideaway and the Lazy B Petite Suite are quietly located down the 'ol deer trail now turned into a private, one lane, gravel road. 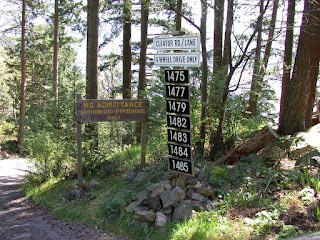 Cleator Road is privately maintained by the few residences that live along this gravel road. There are 3 tight turns and it is steep in spots. to drive up and down Cleator Road. of our gorgeous waterfront property. 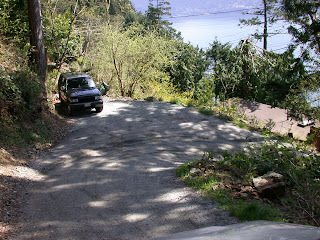 Years ago when Bowen was less developed the road was truly a deer trail. When we arrived for our vacations everything was walked up and down the trail as we moved in and out. Our parents were so glad that they had us, the energetic children, to do the runs up and down the trail transporting the goods. It is truly a great exercise opportunity.